33 shots! 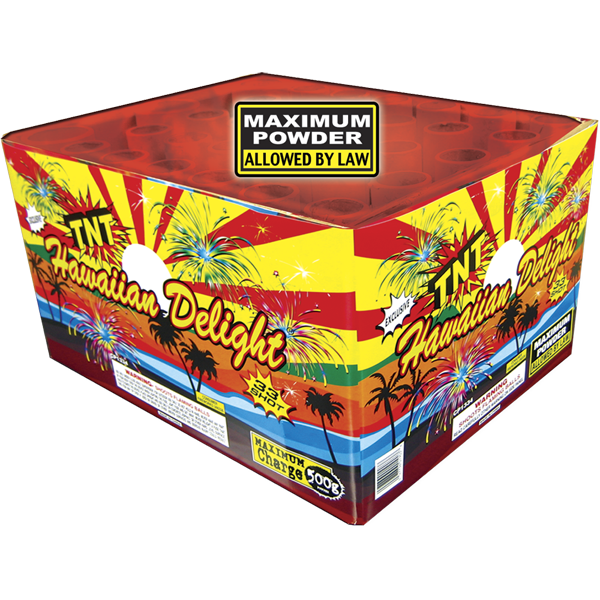 5 blue stars with white strobe, 5 crackles, 5 red leaves, 5 green coconut palms, 5 silvery glittering willows, 5 crackling willows, 3 color peonies. Our patented GLO-FUZE® feature helps you identify and locate fuses in poorly lit conditions - a great safety feature! 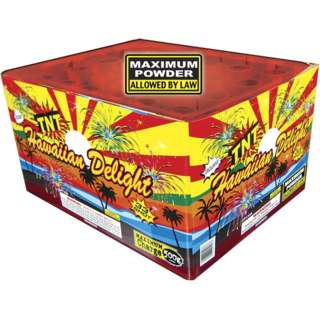 Only TNT® Fireworks brands feature these special glow-in-the-dark fuses (U.S. Patent No. 5,864,084).